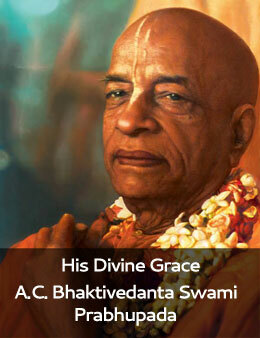 “Please call me as soon as possible to discuss about the book,” read the one-line mail from Radhanath Swami. I flipped out in excitement, pulled out my mobile, scrolled to his number on the contact list, and pushed the dial button. As my mobile tried to reach out to the other side of the planet, to the United States, I could hear its intermittent beeps—and along with it my heart beat. I had been working in Mumbai on the publication of Radhanath Swami’s Autobiography, The Journey Home, chipping in whatever little I could. He had spent years penning it down, wanting to openly share the precious realizations of his arduous spiritual quest with the world. And to help him in that, in whatever little way possible, I considered the rarest opportunity. Now, I would be hearing his voice after a long time. My heart almost yanked out of my chest when I heard his faint voice over the phone. After exchanging pleasantries, he went on to give me directions on how I had to proceed with my work. Mid-way through the call, from amidst a high cloud of excitement, I was plummeted to the low ground of qualms, by a reality that dawned on me—all of a sudden. It is now midnight in the United States! Maharaj is truly a Saint. He is taking all sorts of inconveniance for others and in return giving them hope and inspiration. THank you very much for sharing. Radhanath Swami Maharaj’s humility touches everyone..Thank you for sharing this!! thank you very much for sharing, i like it very much prabhu. Radhanath Swami has this fantastic ability to convey messages in a very sweet & yet straightforward way. Thank you so muchhh for sharing. Radhanath Swami shows how one should be tolerant in the midst of proviking situations. Radhanath Swami’s heart is full of love,gratitude,patience,forgiveness,humility and simplicity.Nothing can irritate him – not even waking him up in the middle of his sleep. He is truly a saint.He tolerates inconveniences without making others realize. Radhanath Swami stresses on having the attitude of gratitude in many of his talks. Amazingly he is a perfect example for that. Rdahanath Swami is such a humble person. Wow! this is really classic. Hope one day I would be able to serve Radhanath Swami in some way, though I don’t deserve all of this. Whatever amount of heavy thing is thrown to ocean it takes everything very slowly within it.Similarly maharaj heart is like that ocean. it was 2am when we returned from Birla House.i was driving.when we reached RG temple i asked maharaj if i should come with him.He looked at me & smiled &said “you have a family yet you staidup for me, I am most gratefull please rest.Later I heard he slept for 2 hrs.only. I like the way Radhnath Swami Maharaj deals with devotees and non devotees. Not even a single speck of duplicity. Maharaj is so magnanaimous and kind in all his dealings ! It is very humbling to read about this experience where Radhanath Swami’s humility is yet again demonstrated. Thank you so much prabhu for sharing wonderful experience. Radhanath Swami is an abode of all divine qualities. All glories. This is such a beautiful incident. Thank you for sharing and informing us the importance of serving him through his book. Thank you for sharing this wonderful incident with HH Radhanath swami. This shows how HH Radhanath swami works for the welfare of the other living entities tirelessly. Thankyou for sharing such a wonderful incident!!! Radhanath Swami is truly a saint! He tolerates all inconveniences for himself while trying to keep everyone else happy!